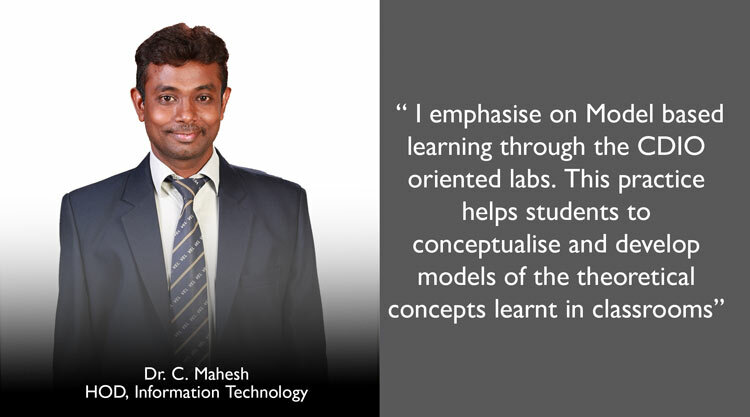 The department provides strong information technology and communication oriented academic programmes in a state-of-the-art environment to advance theoretical, experimental and applied computer science through universally recognized research facilitated labs. The academic curriculum prepares students for flexible career paths as computer scientists in industry, government and academia and continuing advancement in computing to support society by participating technology transfer in globally recognised fields of computer science and engineering, research and training to meet the growing needs of the industry and society. 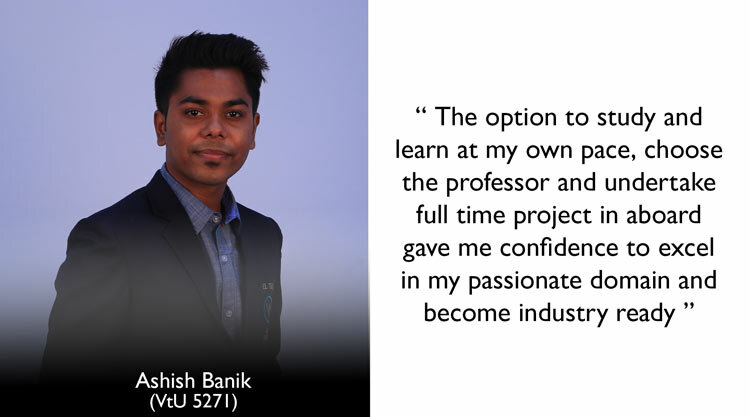 Achieve technical/managerial position in business, IT industry or government enterprises with the understanding of ethical, legal and public policy issues. Think critically to solve IT and related real-life/time problems. Demonstrate sustained learning and adapting to a constantly changing field through graduate work, professional development and self study. Pursue higher studies in information security, information systems, telecommunications and other related information technology areas. Apply knowledge of mathematics, science and engineering fundamentals in information technology to the solution of complex problem. Identify, analyze, formulate a problem and define the computing requirements through literature survey to the solution of complex problem. Design hardware and software systems, components, or processes to meet desired needs within realistic constraints such as economic, environmental, social, political, ethical, health and safety, manufacturability, and sustainability. Design and conduct experiments, as well as to organize, analyze and interpret data to produce meaningful conclusions through research-based knowledge. Use the techniques, skills, and modern engineering tools necessary for complex IT practice. Apply the knowledge of contemporary issues in the social sciences and humanities using computational tools. Show the understanding of impact of engineering solutions in a global on the society, economic, environment. Develop an understanding of professional, legal, and ethical issues and responsibilities. Work effectively as an individual, or as a member with responsibility to function on multi-disciplinary teams. Communicate effectively in speech and in writing, including documentation of hardware and software systems. Demonstrate an ability to acquire new knowledge in the IT discipline and to engage in life-long learning. Apply engineering and management knowledge and techniques to estimate time and resources needed to complete a computer engineering project. Have strong foundations in mathematical, scientific and engineering fundamentals necessary to formulate, solve and analyze computer science and engineering problems. Have an exposure to a variety of high level programming languages, systems to analyze, design and implement hardware and software systems in advanced computing environment. Demonstrate the impact of computing on the society, ethical, social and professional responsibilities/implications of their work. To apply knowledge of mathematics, science, engineering fundamentals and an engineering specialization to the solution of complex engineering problems in Computer Science & Engineering. 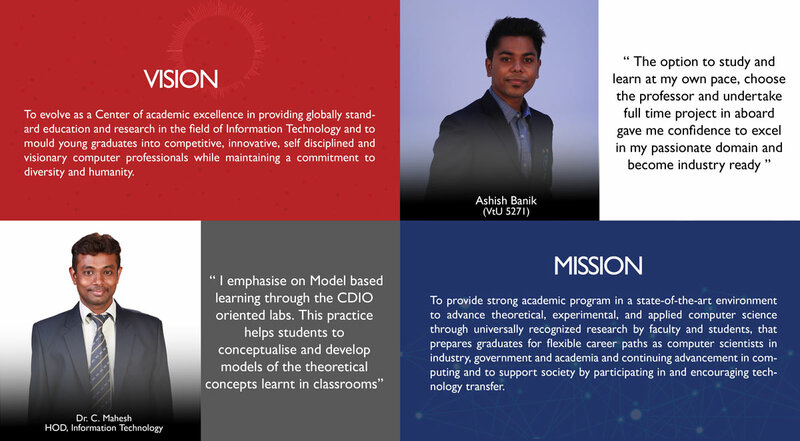 To identify, formulate, research literature and analyze Computer Science & Engineering problems in Networking, Data mining, Security and computing concepts and reaching substantiated conclusions using first principles of mathematics, natural sciences and engineering sciences. To design, implement and evaluate a computer-based system, process, component or software to meet desired needs with appropriate considerations for public health and safety, cultural, societal and environmental considerations. 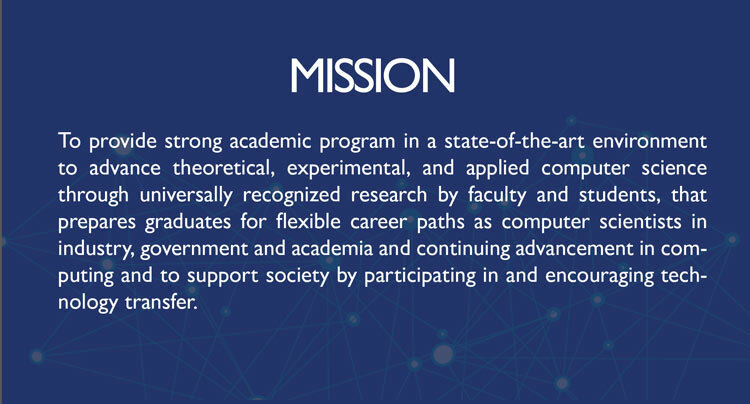 To conduct investigation of complex computing problems in Networking, Data mining, Security and computing concepts using research-based knowledge to analyze, interpret and synthesis the data to provide valid solutions. To create, select & apply appropriate techniques and modern engineering and IT tools for Networking, Data mining, and Security and Computing concepts. To apply contextual knowledge to assess societal, health, safety, legal and cultural issues and the consequent responsibilities relevant to professional engineering practices. To identify the impact of computer engineering solutions in societal and environmental context and demonstrate knowledge for the need of sustainable development. To apply ethical principles and commit to professional ethics and responsibilities and norms of the engineering practices. To function effectively as an individual, as a member or leader in multidisciplinary environments. To comprehend and write effective reports and to communicate effectively with the range of audience. To apply engineering and management principles to manage projects and finance in multidisciplinary environments. Vel Tech Rangarajan Dr.Sagunthala R & D Institute of Science and Technology, Avadi, Chennai, India.